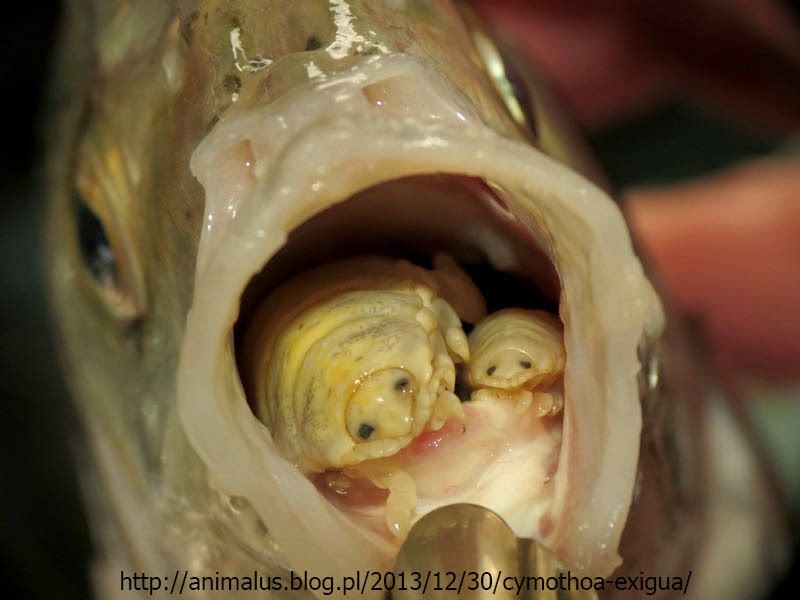 Cymothoa exigua is an isopod crustacean, which is sometimes called the tongue eating louse. Some of my regular readers may remember Macrocheles rettenmeyeri, the parasitic mite which replaces the foot of other arthropods. 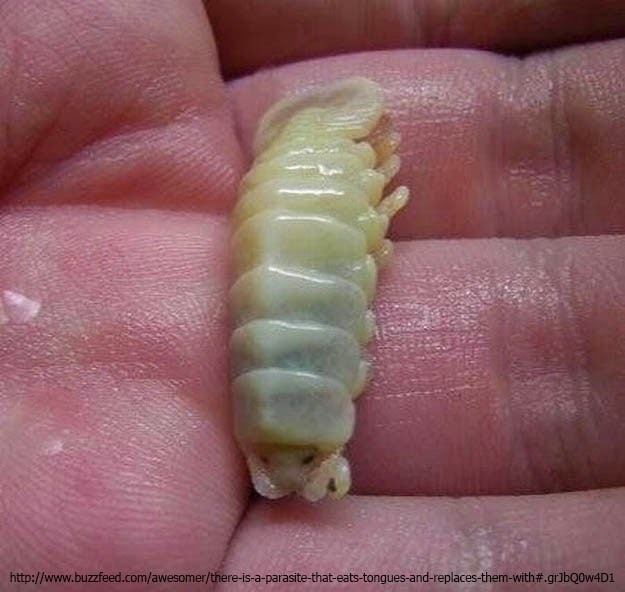 In a similar way this parasitic isopod eats and then replaces the tongue of fish. They enter the fish through the gills and then eat the tongue off. They latch on to where the tongue was and then live off the blood of the fish they have latched on to. The first member of the species to enter the fish will mature into a male. When a second parasite infects the same fish the first on then becomes female. Cymothoa exigua is found in tropical waters near coastal areas of the Eastern Pacific Ocean.